Europeans are starting to realize how sombre the situation is for the Greek people and sympathize with their plight, says Dimitris Papanikolaou, academic from Oxford University. The austerity measures imposed on Greece have done little to get the country out of debt and a lot to dismantle welfare provisions and workers' rights. The fight to prevent this, he says, is not Greece's alone - the Europe we joined is a Europe that ensures the minimum of dignified life for everyone. 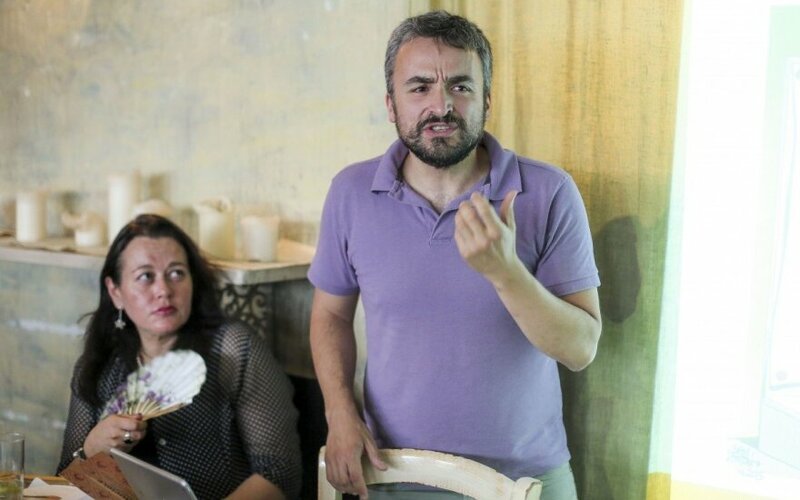 Although a member of Greece's governing Syriza party, Papanikolaou, who gave a talk in Vilnius this week, stresses that he is talking as a public intellectual and does not represent the party line. 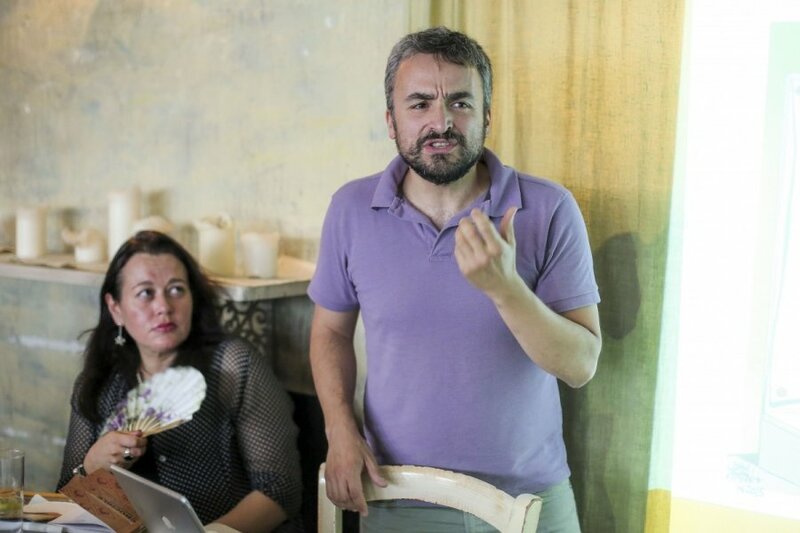 In an interview to DELFI, he describes the precarious situation of the Greek people, a third of whom are jobless, and says that the recent referendum, where voters said a decisive "no" to more austerity, has helped reframe the debate on the Greek crisis. How would you describe the current situation in Greece? It's a country that in the past five years has seen the level of life fall dramatically. If you walk around Athens today, you'll see more people begging on the metro, you will see more people homeless. The country's infrastructure has started to suffer and people are basically out of work. More than 30 percent, one in three Greeks, do not have full employment and almost half the young are unemployed. Even the Greeks who work are now paid less and less, there has been around 30-40 percent loss in salaries, in pensions as well. But the most important loss, I believe, is in the workers' rights. People of my generation and the younger generations work now in jobs where they can be fired any day. They are made to sign contracts that are blackmail - for instance, they sign that they will work two days per week, but then they work four or five days and are paid black money or not paid at all. In order to keep the small jobs they have they are pushed to do compromises that were unthinkable in the past. Another thing is the dismantling of the health system that is happening as we speak. Hospitals are in a dire position, buying even basic medicines has become difficult. As time goes by, we will see more problems with universities, schools, other state provisions. The situation is very dire. I think the world has now realized it because the Greeks voted "no" in the last referendum. I don't know any family who hasn't got at least one unemployed person, sometimes two or three. There are families who live on grandmother's pension. You might argue that this is an austerity situation or a crisis situation that other countries in Europe have experienced, including Lithuania. But what has been shocking in Greece is the overall fall over these last five to seven years. Why then other European countries have shown so little sympathy? Actually, I believe everywhere I've been European people are very sympathetic. If I asked you, no matter what your political affiliations are, or if I ask my colleagues in England, would they want people in Greece or, for that matter, any other country in Europe not to have proper surgeries, not to have cancer medicine, they would say no. Some believe that almost one fourth of the population is now under the poverty line, perhaps more. Everyone in Europe is sympathetic to that. In terms of politicians, I believe that especially recently the sympathy of the rulers of Europe has waned because of a leftist party in government, as if that government should be punished. But I wouldn't agree there is no sympathy. In Lithuania, one of the most common arguments goes like this: Why should we help Greeks who receive three times the pensions we get? In my view, all people of Europe should have pensions and salaries that allow them to live properly. I also believe that this is a European issue and not a state-by-state issue. We are in Europe so that we have a certain minimum arranged. For instance, all healthcare systems of Europe should be similar. I do see the point of countries that have gone through austerity, like the Baltic countries, and I believe that we stand together here, to fight for better provisions for the lowly paid. In Greece, the difficulty is a little easier to see now, because people have seen their level of life fall so suddenly. And the second thing is the level of taxation for property that adds on the fall on the salaries and pensions. At the moment Greeks have not only lower pensions - that might still be higher than in Lithuania - but they are locked to property they cannot sell. At this point they might be much worse off than Lithuanians because they have to pay this huge amount of property tax and they cannot get rid of property. However, the biggest point is not to discuss the level of salaries and pensions, which might be an issue, but to discuss workers' rights. For instance, people should have a right to be members of the union. Or should have the right to stay in a job without having to fear that they might be thrown out with a one-day notice. They should be able to have proper salary that is properly declared and give them proper access to health insurance. These are big questions and we should not have any differences on them, but fight for these rights together. Lithuania itself is right now in the process of liberalizing its labour code. We do not have strong labour unions in this country, how then can workers fight for their rights? People getting together is the only way to fight, isn't it? People in Greece are realizing that having better contracts with your employer on a one-to-one basis when you know that people around you do not have good contracts is not the answer. Even if there is no powerful union, one can still create political arguments about protecting workers' rights. If Syriza stands for anything it is politics that says: no matter how crushed the workers' unions are, there can be a central political power that supports at least the minimum of workers' rights. After the referendum, experts have started saying that debt relief for Greece is now inevitable, whereas before some still maintained that Greece might be able to pay back the loans. Yes, because of the referendum the voices that were not heard before are being heard now. We should say this to the peoples of Europe - see how much we have been led astray to not have the proper discussion, which is, for instance, that the debt is unpayable. This absence of discussion is bad for anyone, for the lenders as well as for the society that is now cornered. Now the discussion is happening, because these more honest voices can be heard. Everyone realizes that people in Greece are suffering, they are realizing that maybe there has been something wrong in the way the situation was represented. Suddenly we start talking about the unsustainability of the debt. What do you think about the now former Finance Minister, Yanis Varoufakis? Is he really as radical as some Eurogroup colleagues present him to be? Only if you think radical is someone who thinks in a new way. It's not a bad thing. I think he was trying to present everyone with a picture that was analytically sound and also politically brave. I don't know about his style or whether he did everything in the right way, politics is a very complicated thing and sometimes academics are not the fastest people to learn. He is not a seasoned politician, not a very experienced politician, but let me say this: I am really proud of my country for putting a top economist of that calibre, of that fame to lead the negotiation at this crucial moment. 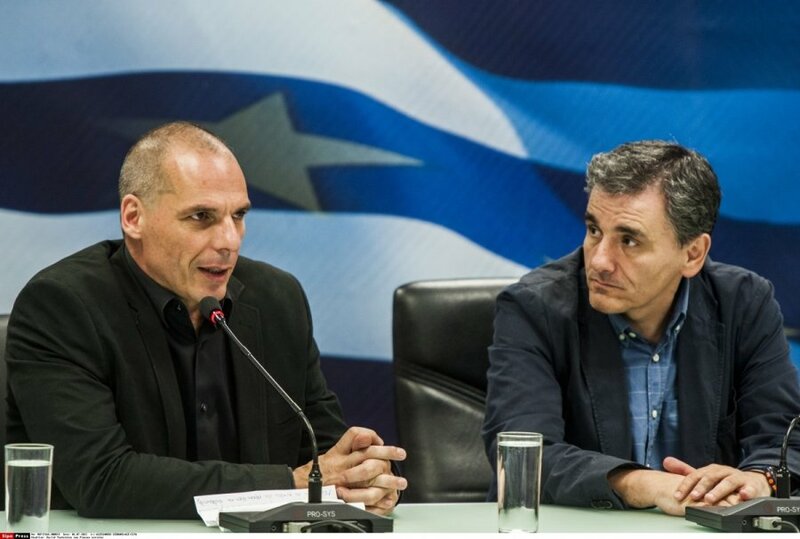 And I am also proud of Varoufakis who has decided to take a step back now - the new minister [Euclid Tsakalotos] is also an academic, he is also a very good economist and they are, I believe, on the same wavelength.